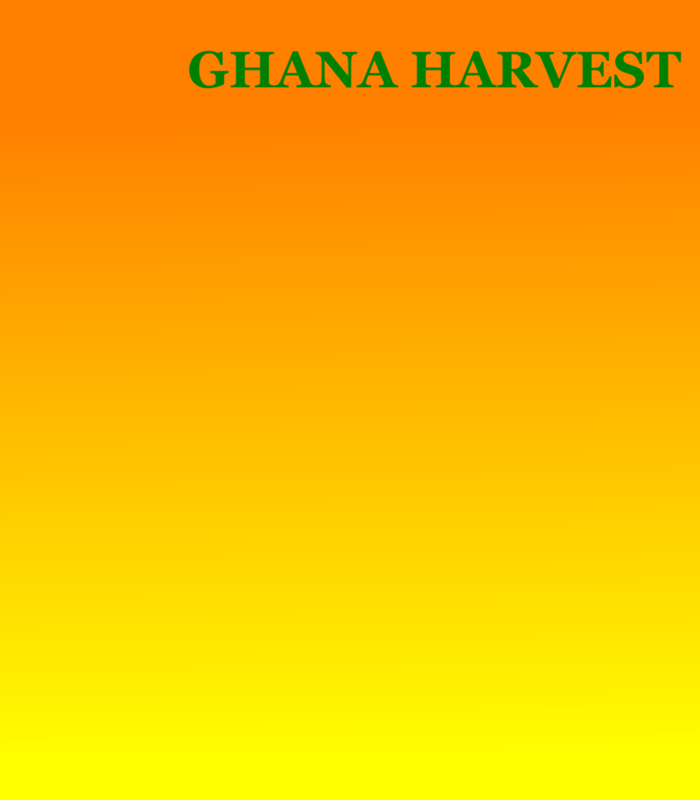 Many years ago after returning from the South of Ghana to his hometown in Upper East region, a young Nicholas Salifu purchased a piece of property on the outskirts of Bawku with some of the funds he had earned working in Tema. The property was left vacant for many years but in the early 2000’s he started building a house on the property as well as enclose it with a cement block wall which took a few years to accomplish. 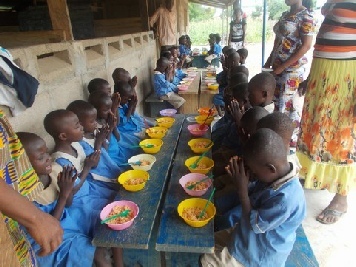 Realizing the importance of educating young children, pastor Salifu’s desire had long been to start a school. In fact years ago he had started schools in Ziako, Zuuku, Baakanga, and Bugzunde, with the goal of providing a religious education to all. Due to the cost of providing teachers, meals, and other expenses involved with a “quality Christian education” he was unable to continue. The only option was to allow the government to take over. 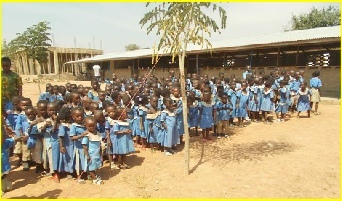 Today the school in Ziako has over 600 students. 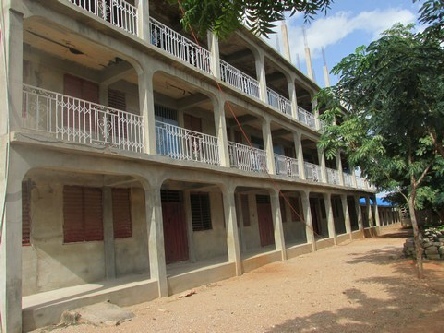 Pastor Salifu built walls extending from the existing wall surrounding the property and provided four classrooms, which could be used for Pre-Kindergarten and Kindergarten. So on September 3rd, 2012, CONCORDIA PREPARATORY SCHOOL was established. 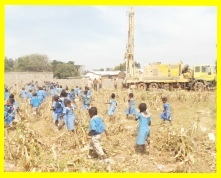 There was no water and digging a well which should normally be a simple process became a major problem, so with the help of an organization called “Wings of Hope” it was possible to drill a well through over 200 feet of rock. (If only Moses was there with his staff-but in fact the Lord was there!!). And there was water. 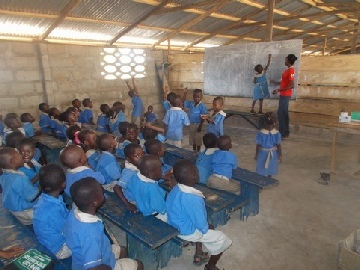 After the first year of operation two more classrooms were built for the first grade, which made a total of 289 students and seven Christian teachers for these three grades. These students can recite The Lord’s Prayer, The Apostles’ Creed, and the Ten Commandments. They also can sing many songs about Jesus. 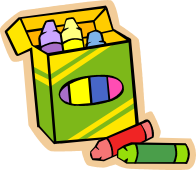 Each year another grade will be added and additional classrooms and teachers as needed. A small fee is charged for each student which includes lunch, amounts to about $100.00 per year, and teachers are paid about $600.00 per year, and there is always providing classrooms for the next class. It is our prayer that the school will continue to grow each year until there are twelve grades and living quarters for the students. 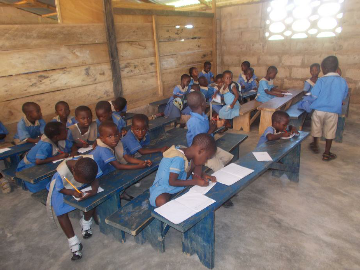 It is customary to send children to a “boarding school” after the elementary grades are complete, especially children in rural villages where the population is very sparse. 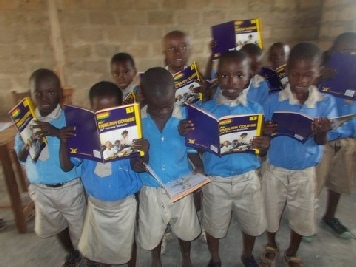 CPS uses the curriculum prescribed by the government in addition to Christian Education which is taught in all classes. 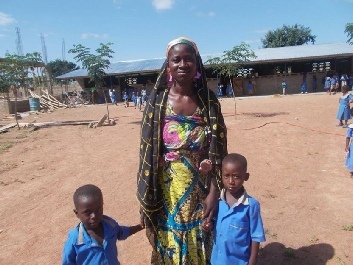 It’s quite a giant step to build and operate any school, much less one that is in the remote area of Bawku and amid families of the Islam belief as well as Idol worshipers. Concordia School is the ONLY school that teaches a sound Christian education . 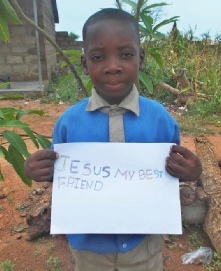 Children of all beliefs have enrolled and some are already bringing their parents to understand the love of Jesus Christ. The newest building on the school campus is in use as of 2016, but is still under construction. The final structure will be four full stories. There are two other one story four room structures in use also. As of the beginning of the school year in the fall of 2017 the enrollment was nearing 700 students through grade 6.